Mark Roke, a technical product manager at Clearvision, uses Lucidchart to build mind maps, product roadmaps, and flowcharts that allow him to communicate more clearly with his colleagues. Mark can quickly and easily answer questions from the development team by inserting process diagrams directly into Jira tickets, saving himself and his team a great deal of time. Mark's team uses mind maps to categorize and group ideas as they brainstorm, helping them reach solutions faster. 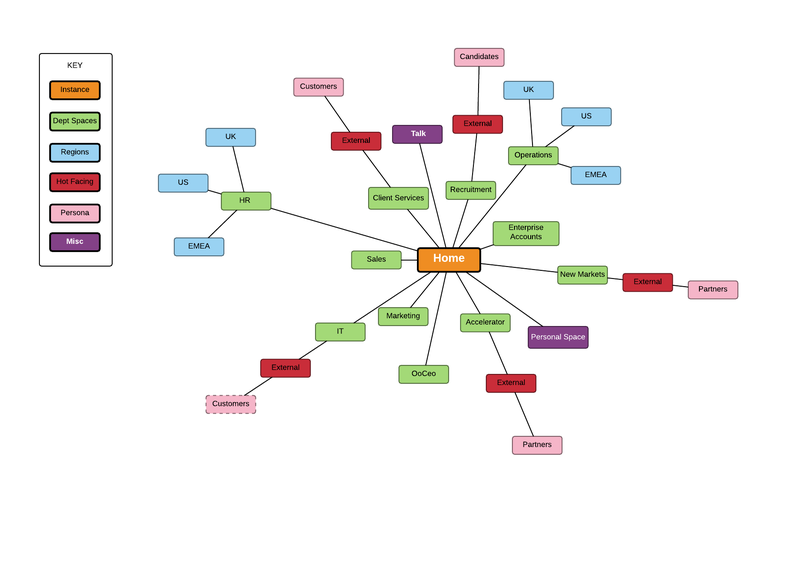 With their mind maps in the cloud, the team can easily share ideas with anyone in the organization. In less than 10 minutes, Mark can create a product roadmap to share with executives. The map helps executives quickly grasp the vision for product developments and stay in the loop as the product map evolves. Through product functionality diagrams, customers quickly see how Atlassian products work together and provide added value. Clearvision is a software services and development company with headquarters located in Southampton, UK. The company offers licensing, consulting, training, support, development, and branding services for Atlassian and open source tools. Perhaps Clearvision’s confidence comes from their own experiences using Lucidchart as part of their daily workflow. For example, Technical Product Manager Mark Roke uses Lucidchart to instantly provide important information to his team. Mark has only been using Lucidchart for four months but is already convinced of its capacity to improve communication for his team. And he says getting started with the platform required absolutely no formal training on his part. As a product manager, he has to convey a lot of information to a lot of people, and Lucidchart helps him do so in a timely manner. 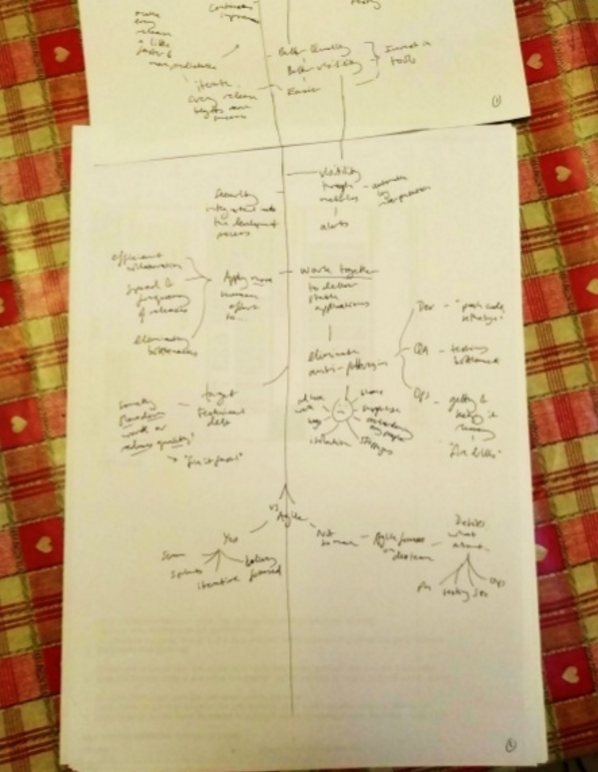 When a colleague passes him a paper with a scribbled diagram on it and says “Make this,” Mark is able to make sense of the chicken scratches by making a diagram in Lucidchart. The result is an easy-to-read and visually appealing diagram that he can pass off to his team of engineers. 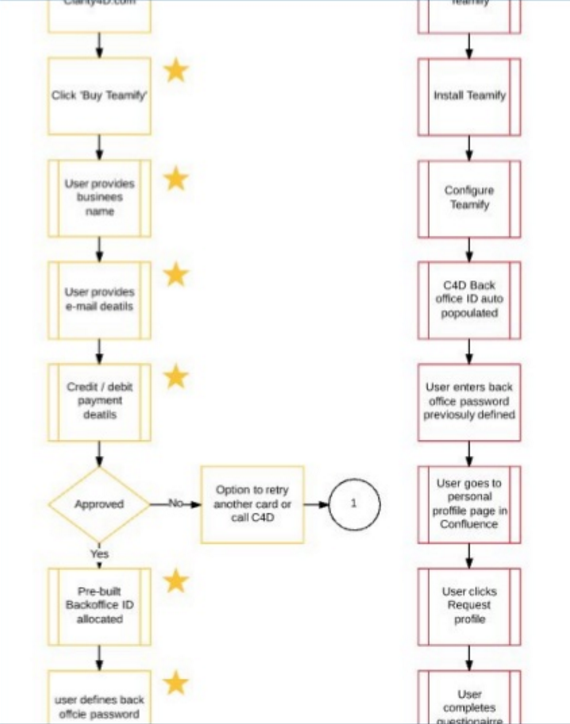 Mark loves a good flowchart, and these diagrams are perfect for describing processes to the software dev team. He will attach them to the JIRA tickets so members of the team can turn to the visual rather than always coming to Mark with questions. Mark is a big fan of whiteboards for getting all his ideas out, but unfortunately, he can’t share his ideas from a whiteboard. 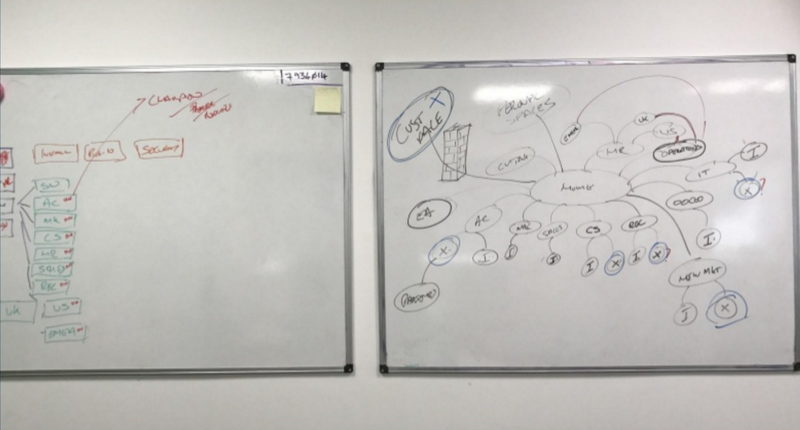 So after a productive whiteboarding session, Mark immortalizes his thoughts with a Lucidchart mind map so he always knows where to find them and can quickly share them with his entire team. Mark has also found Lucidchart valuable for communicating the product roadmap to his CEO. These high-level roadmaps are short, simple, and sweet, allowing leadership to quickly grasp the ideas being presented. As the roadmap evolves, Mark simply makes a copy of the original and then revises it as needed. 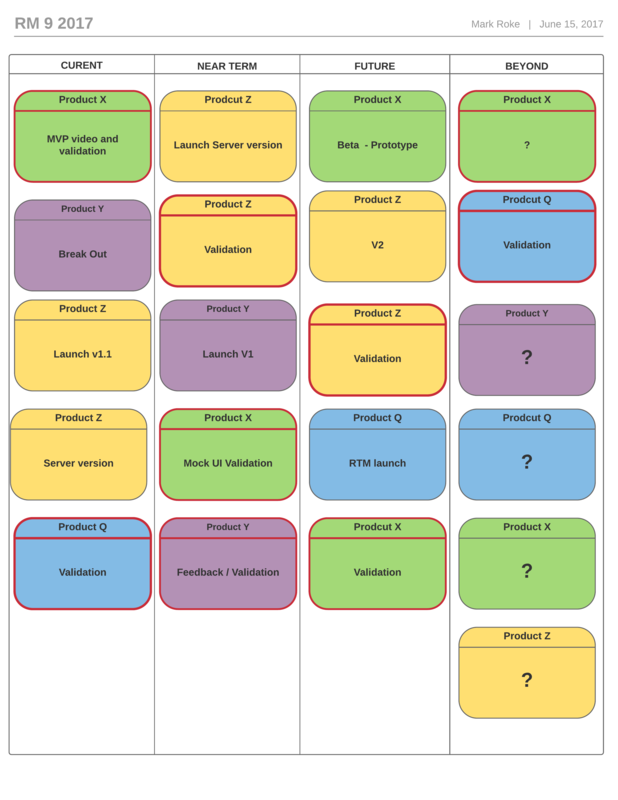 All his roadmaps live in a folder in Lucidchart for easy reference. And they take him less than ten minutes to create. Lucidchart is assisting other teams at Clearvision as well. When the marketing team was trying to figure out how they could convey the common functionality among Atlassian products, Mark got creative and helped them out. He built a diagram using different Lucidchart shapes and images. 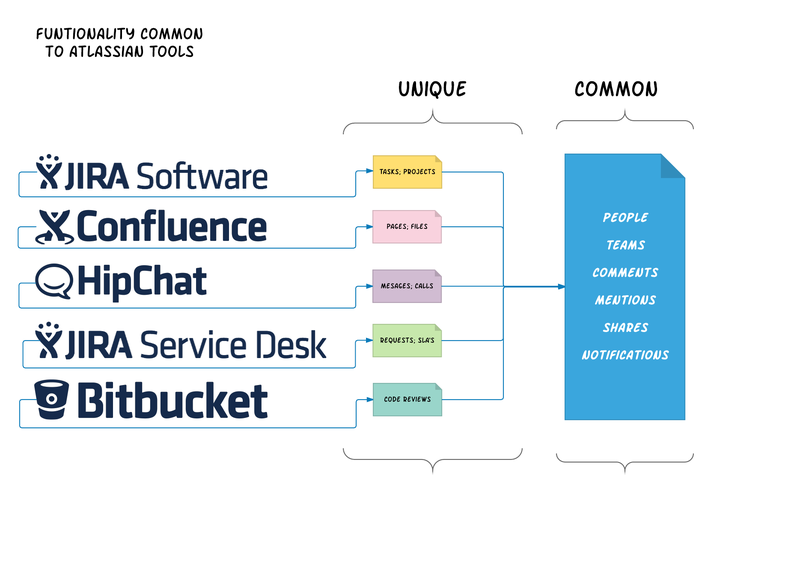 The result was a visual clearly communicating the functionality of all Atlassian products and the relationships between them. “The first time you open Lucidchart, the UI jumps out at you. The layout speaks intuitively on how to use the tool." A big Photoshop user, Mark loves that the keyboard shortcuts in Lucidchart are so similar to the programs he is already accustomed to using. The result is a familiar environment that makes creating his charts intuitive. He also loves the templates available in the product. “There are all these beautiful templates you can just jump into. And even if you prefer to start with a blank canvas, the templates at least give you an idea of what’s possible.” Mark appreciates more than anything how easily and quickly he can diagram with Lucidchart. Already enthralled with Lucidchart and its functionality, Mark was convinced a flowchart couldn’t get any better. Then he discovered the layers feature and realized it could. “Layers is one of the best things I have seen in a charting tool,” he states. “I can change my chart without actually changing my chart!” By creating a new layer on top of his existing diagram, he can drag new shapes and alter parts of the diagram without damaging his original. He can toggle between layers to display the current way of doing something compared to the new way he is proposing. Mark also loves being able to change the theme of his diagram. “Black-and-white diagrams can get very dull and dry. With themes, I can make things look really cool in just one click. It makes a big impact,” he says. Once he has a finished (and colorful) diagram, he can seamlessly download his diagram as a PNG with a transparent background to drop into a PowerPoint presentation or export it as a PDF. Today, Lucidchart is Mark’s go-to platform any time he gets to make a chart (something he likes to do often). Mark has found that, although the saying “a picture is worth a thousand words” is a corny one, it couldn’t be more true. Communicate clearly with your colleagues. Try Lucidchart!